Couple of years ago, I picked up a project 760 with a rattle can paint job and a giant unicrown fork. I found a 1985 760 fork so I am part way there. One of the PO's at least masked off some of the decals but not all. I have looked at the usual places like Cyclomondo and Velocals over the years but have not seen any decals for the 760. Any Ideas why there is not a demand for them other than small market? Any one actually know first hand who might offer a set? This is a really lousy pic of the bike as purchased. It is a frame set at this point. My plan is to dress it with Superbe Pro. If nobody has made them before then you will have to find a place to do it for you. Car wrapping shops are a good bet. There are some basic Trek decals to be found at Unlimitedwebshop.nl. And while they might be able to help you with Reynolds 531C stickers (more here) if it is not in the list you could try contacting them directly. Mind you custom design work from pictures can get very expensive, very fast. @JaccoW - Thanks! They don't have any either. I am surprised at how may more modern decals are available. I am looking for all decals as the paint that has been exposed justified repaint. Have also thought about just building it up as a frankenbike! 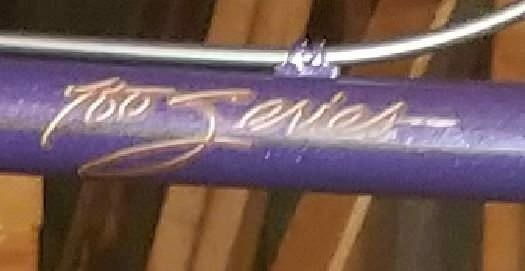 I had a set of 1994 Burley tandem decals made. Yup, not cheap. 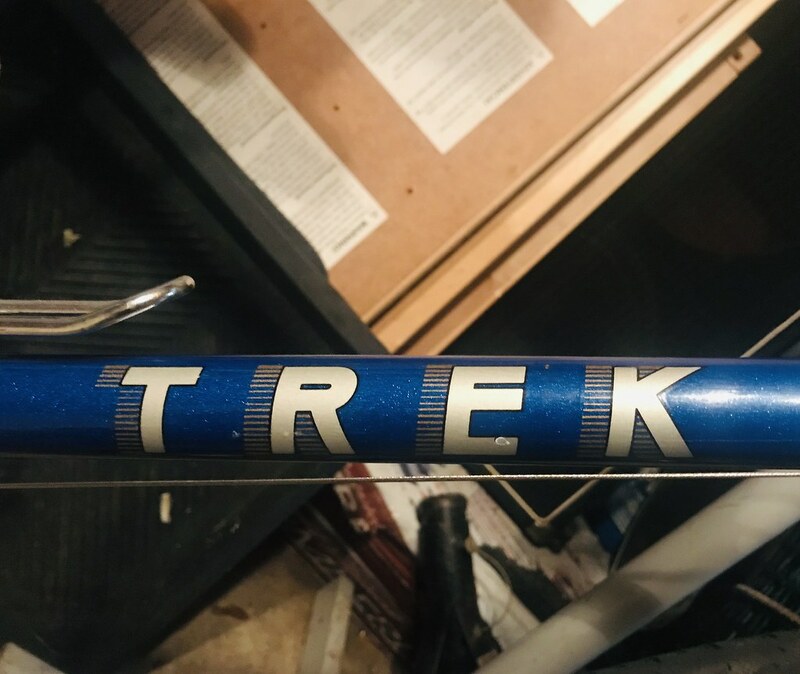 1984 is a singular year for Trek decals- It’s the only year they did the decals like that. Are you going for the full-on period correct thing? If not... My personal opinion is that the 1986/87 Trek Downtube decals were the best looking- Since the “Trek” and “USA” logo/lettering on the decal is the same through 84-87 and the gold-white-black color scheme would look cool on pretty much any color bike... and it does pop more than the monochrome 84/85 graphics. 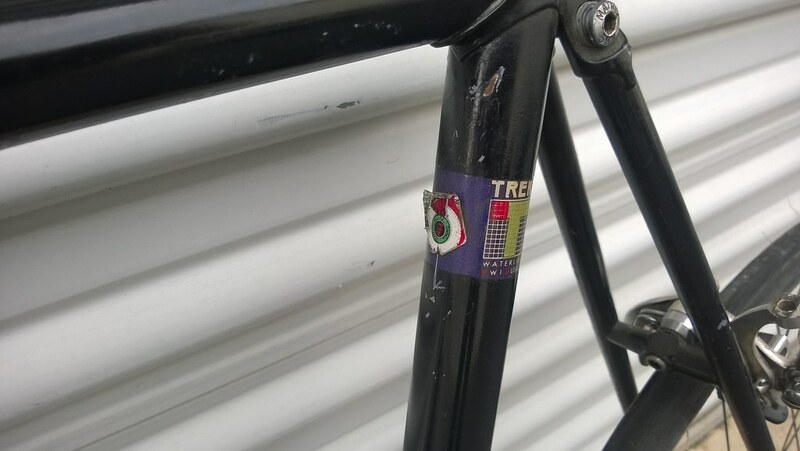 At that point- if you wanted to add the square T “Waterloo” seat cluster decal, the white block back of the seat tube decals, or the “700 series” TT dcecals- you’d have a custom set- squarely mid 80s style, but 1984 heavy. TGB - Great thoughts and suggestions! Will give due consideration. since this finish is so far gone, maybe I should think outside the box. 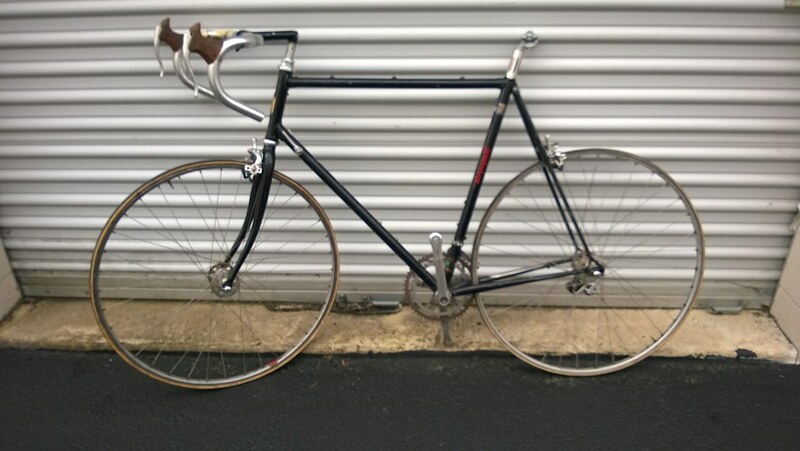 I don't want to lose its ideitity in the process, which would be hard with the clear Trek lugs. fyi - as a former owner of one of these (smaller), the only apparent difference between the 760 and 770 was what they were equipped with, paint color and decals. If you can find decals for a 770, it wouldn't be misrepresenting the frame. Interesting! Didn't know that. What was the difference? got it! Campagnolo on 770. Last edited by SJX426; 12-06-18 at 11:41 AM. I’ll have to get a good pic of the logo- I don’t have a clear example hosted... that I know of. 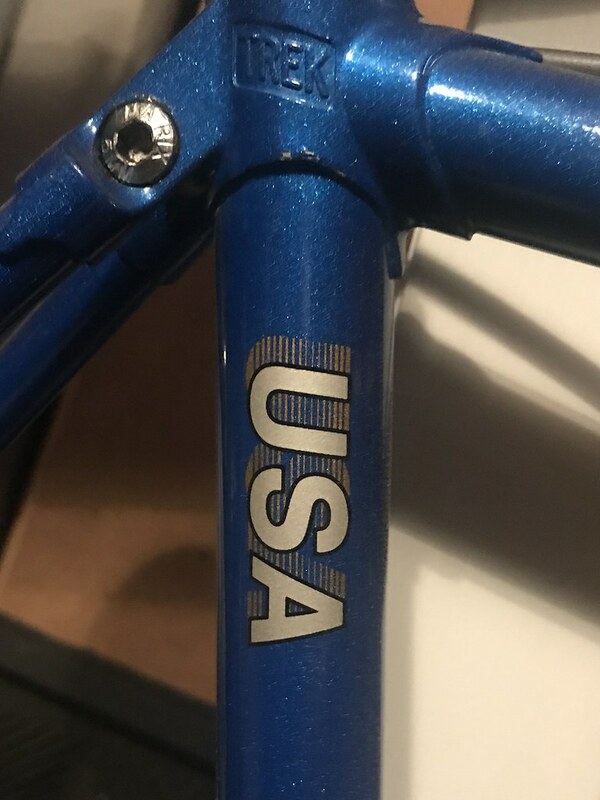 the White/Gold/Black 86/87 Trek DT logo. I think I might have a pic still hosted on Pee Bucket. Last edited by The Golden Boy; 12-06-18 at 05:36 PM. Ah, got it. Most of my Treks are ‘84, so if the OP wanted a shot of those decals I might have been useful. LOL! Will follow this project. Recently built the same and in the original color. Its an odd combo with the dark red font, silver fade against the metallic purple. Personally don't like the factory art but the imron paint is well worthy and durable. Mine needed considerable touch up, a tricky blend of metallic blues and purple, might have even added metallic black. 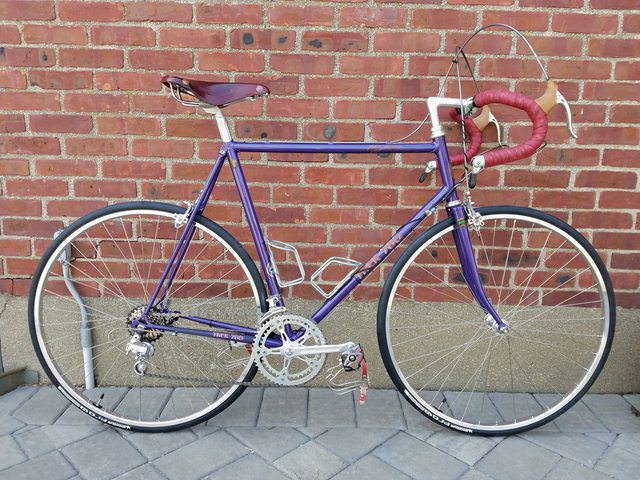 IMHO, I would spray it close to the original metallic purple whatever and for the decals, get the top tube graphic 700 Series, down tube Trek -sans- model number. Pick any color that contrast a bar wrap but better than the odd factory choice dark red. Anyways, I didn't follow the purist C-V build. A brilliant classic steel machine. Anxious to get loads of miles on it this next year. Though on clinchers (Veloflex Masters) it exceeds my expectations. Have fun with the project. I certainly have! Last edited by crank_addict; 12-06-18 at 05:54 PM. I've got one of those 1984 760s. Plenty of decals. 'TREK' on the front of the fork blades. 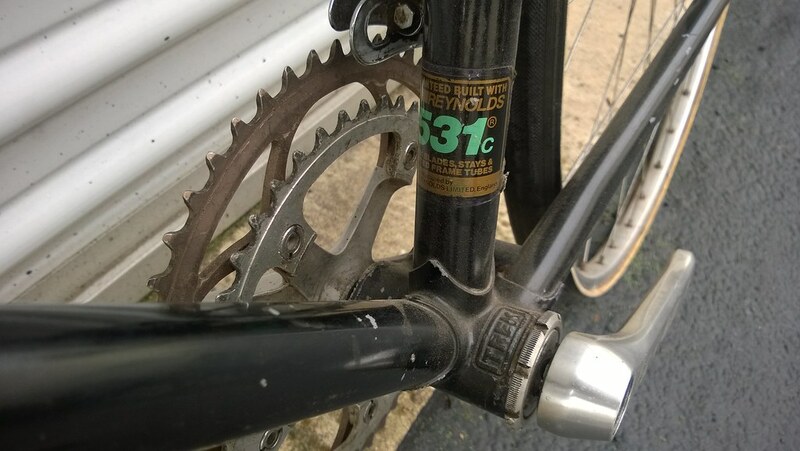 'Reynolds 531' on the top of each fork blade. '700 Series' on the sides of the top tube. 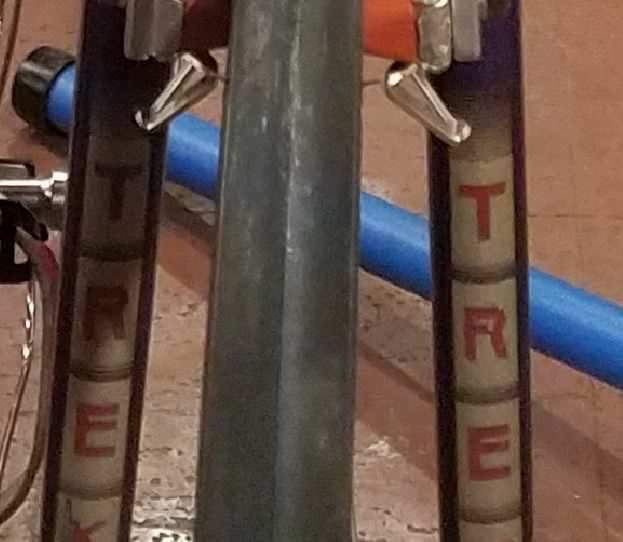 'TREK T' on top of the sides of the seat tube. 'TREK' on top of the back of the seat tube. 'Trek 760' on the drive side chain stay. 'TREK 760' on the sides of the downtube. Given the large number of decals to reproduce an accurate restoration, I'd be inclined to make it your own. Go with the color and decals you want. 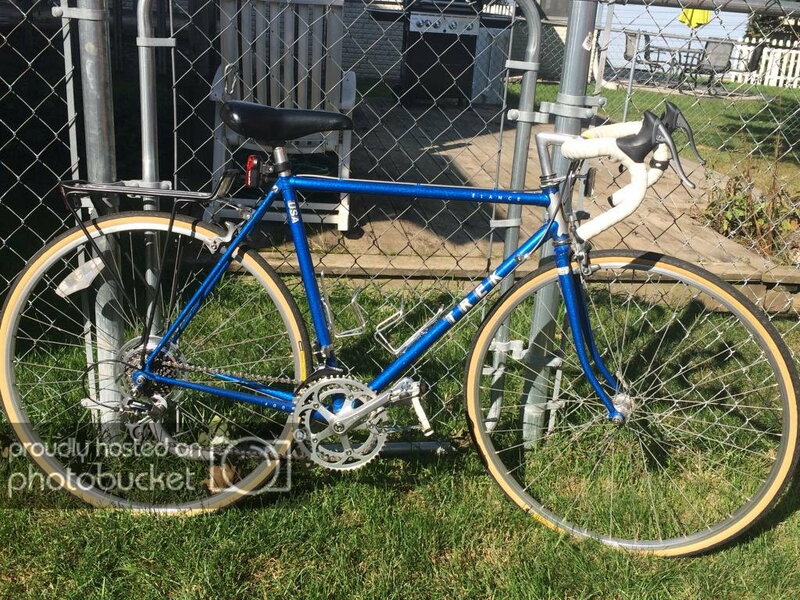 Maybe even go with the 1985 color, if the fork you have is in nice shape. 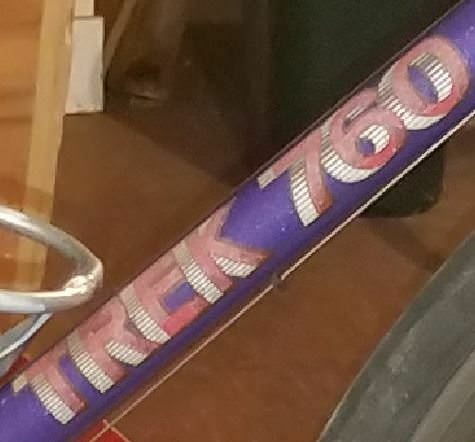 The serial number record on the Vintage Trek website can always show the provenance of the frame. Super Record on 770. Victory or Superb on the 760. The '84 760 with Victory was called the 760 LE. Thanks all for your contribution and enthusiasm! I certainly didn't think this would be a long thread. Now I am wondering if I should do my own transfers. HVLP guns were aquiredf last year. This frame set may be added to the queue! If I could get a full set of decals, I would commit to full restoration, even to 770 level in time. I have a near full Superbe Pro group.. Missing post, stem and pedals. The stem on the bike is too long but is the same as the Pro with the TI bolt. Can post a pick if there is interest. Last edited by SJX426; 12-08-18 at 03:25 PM. I love my 760. Worth the effort.